The 2016 S.C. turkey harvest was up ten percent from the 2015 season. Photo courtesy of U.S. Fish & Wildlife Service. Approximately 50,000 turkey hunters take to the woods annually in South Carolina with hopes of harvesting a wily gobbler, and the 2016 spring turkey season was no exception. With an estimated harvest of 16,783 birds, the spring turkey harvest was up about ten percent from 2015. According to S.C. Department of Natural Resources (SCDNR) Big Game Program Coordinator Charles Ruth, the increase in harvest this year is likely the result of slightly better reproduction the last couple of years. Just as the reduced harvest in 2015 was explained by the all-time low reproduction in 2013, the increase in harvest seen in 2016 was likely a result of slightly better reproduction in both 2014 and 2015, which lead to an increase in turkey numbers in many parts of the state. However, in spite of the increase in 2016, statewide harvest levels remains 34 percent below the record harvest established in 2002. Each summer during July and August, SCDNR wildlife biologists, technicians, conservation officers and private cooperators participate in an annual turkey observation survey. Reproduction in wild turkeys has generally been poor much of the last decade and the overall effect has been a significant decline in turkey harvest in recent years. On the other hand, data from the summer survey in 2014 and 2015 showed slight improvements which seemed to lead to the modest increase in harvest in 2016. “This association between changes in reproduction and its effects on harvest are rather remarkable in South Carolina’s turkey harvest and reproductive data sets,” Ruth said. Top counties for total turkey harvest were Williamsburg, Spartanburg, Berkeley, Laurens and Colleton. However, because counties vary in size, a better method of comparing harvests between counties is the harvest per unit area, turkeys harvested per square mile, for example. Using this method, top counties were Spartanburg, Laurens, Union, Cherokee and Anderson. Other statistics from this year’s survey indicate there were approximately 51,867 turkey hunters with the average hunter spending about five days in the field. Total effort expended by all hunters was approximately 271,000 days in 2016. The success rate was about 23 percent in harvesting at least one gobbler. However, hunters who harvested one gobbler were just as successful in harvesting a second bird. 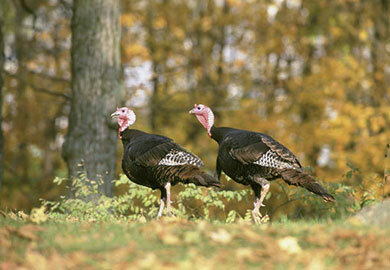 Approximately 75 percent of gobblers were taken in the morning with the remaining 25 percent during afternoon hunts. Finally, hunter opinion on the turkey population indicated it was viewed as decreasing and this opinion coincides with the declining harvest and reproductive trends over the last decade. According to forest inventory data, during the last 20 years, the states’ timberlands in the zero-to-15-year age class decreased 34 percent while timberlands in the 16-to-30-year age class increased 104 percent. This situation is not as productive for turkeys because it does not provide understory nesting and brood rearing cover in the same way that younger forest stands do. For questions regarding the information in this article, contact Charles Ruth at 803-734-3886.